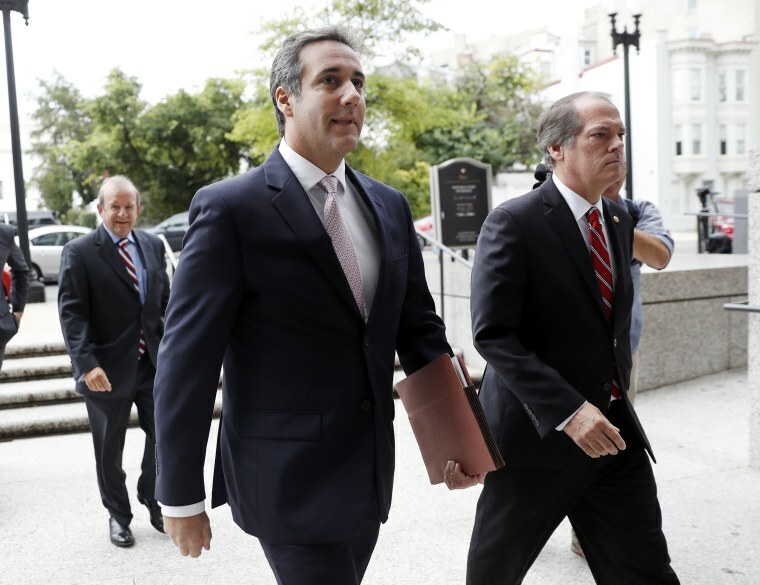 WASHINGTON — President Donald Trump's personal lawyer is scheduled to speak Tuesday with investigators for the House probe into Russia's involvement in the 2016 U.S. presidential election. Sources familiar with the House Intelligence Committee's probe say Michael Cohen will talk with them in private. The sources requested anonymity to discuss private workings of the House probe. A source with first-hand knowledge told NBC News that Cohen will also appear before to Senate Intelligence Committee on Wednesday. Cohen is a former executive with the Trump Organization. He was in talks to build a Trump Tower in Moscow, but ended those negotiations as Trump's White House bid grew stronger. It was later revealed that Cohen had written an email to Russian President Vladimir Putin's spokesman, Dmitry Peskov, seeking help in getting the Moscow tower built. But Peskov said he never responded to the email. Cohen will talk with House investigators just a few hours before former Trump campaign digital director Brad Parscale meets with them. Cohen's lawyer did not immediately respond to a request for comment Monday evening. But in a statement to Senate investigators last month, he wrote, "I emphatically state that I had nothing to with any Russian involvement in our elector process." The House Intelligence Committee subpoenaed Cohen for documents earlier this summer, and Cohen has been cooperating with the committee since then.